Paul's letter to the Colossians is short, but it delivers a roundhouse kick to religion as it reveals the complete and inexhaustible sufficiency of Jesus Christ. Jesus really is everything we need! Paul reveled in the good news that had captured his heart. He nevergot over it and never moved beyond it. He knew that no one could advance beyond the essential message of the crucified, risen, andexalted Christ. And he didn't want anyone to retreat from it. 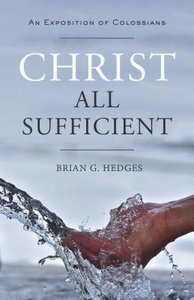 About "Christ All Sufficient: An Exposition of Colossians"